Microsoft Silver light is a powerful development tool for creating engaging, interactive user experiences for Web and mobile applications. Silver light is a free plug-in, powered by the .NET framework and friendly with multiple browsers, devices and operating systems, bringing a new level of interactivity wherever the Web works. JSM Infotech offer silver light application development and silver light controls that can be used to integrate animations, graphics, multimedia and interactivity into single solution and environment that can take up users' experience into ideal web development solution with the help of the silver light business application. Our silver light navigation application is used for many add-on features such as Microsoft silver light plug-in, silver light application development, support for 3D graphics, support for professional WMA, protection for content and deep zoom. 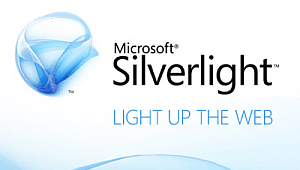 Microsoft silver light plug-in is used efficiently for cross platform, cross browser and plug-in for cross device. The silver light controls are able to update automatically and Microsoft silver light plug-in is comparatively light weight and easy to use. Silver light is a cross-browser, cross-platform, and cross-device plug-in Designed to deliver the next generation of .NET based media experiences and Rich Interactive Applications Offers a flexible programming model - supports Visual Basic, C#, Python and Ruby Seamlessly integrates with existing Web applications Freely available for all the supported browsers and platforms Supports features like flexible 2D vector graphics, overlaid video, and powerful transformations and animations Supports speedy, cost-effective delivery of high-quality video Has the ability to deliver high-fidelity media experiences on a broad set of system configurations The plug-in is comparatively light, weighing in at just a few megabytes Has the ability to update itself automatically Supports speedy, cost-effective delivery of high-quality video Silver light applications run easily on the major operating systems Windows.